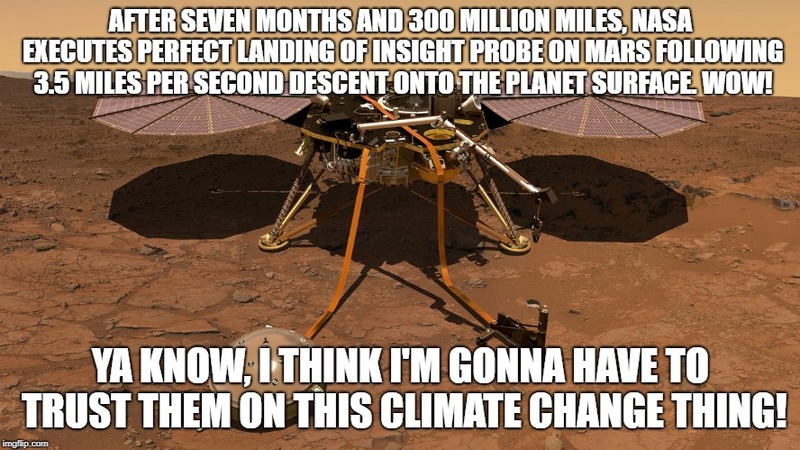 AFTER SEVEN MONTHS AND 300 MILLION MILES, NASA EXECUTES PERFECT LANDING OF INSIGHT PROBE ON MARS FOLLOWING 3.5 MILES PER SECOND DESCENT ONTO THE PLANET SURFACE. WOW! YA KNOW, I THINK I'M GONNA HAVE TO TRUST THEM ON THIS CLIMATE CHANGE THING!